my review of the new Colum McCann book from last week's Weekend Australian. Colum McCann’s new book contains one long novella and three short stories; the novella is called ‘Thirteen Ways of Looking’ and is a murder mystery of sorts set in New York. Peter Mendelssohn is a retired Jewish judge in his eighties who lives in a well to do building on the Upper East Side. His Irish wife Eileen has only recently died and in the first chapters of ‘Thirteen Ways of Looking’ we learn about Peter’s childhood in Vilnius, his family’s flight from the Nazis, first to Paris and then to Dublin (where Eileen was his neighbour), and then finally to Brooklyn. Eileen joins Peter in America, they marry, prosper and have two children: a do-gooding daughter living in Israel and a creepy son Elliot who wants to ride his father’s coat-tails into a political career. The day of the murder begins typically for Mr Mendelssohn. He deals with the indignities of night-time incontinence, he charms his Trinidadian home-help Sally and he reminiscences about his wife’s affection for Irish literature and the autographs he got for her from Seamus Heaney and Paul Muldoon. It’s snowing but Mendelssohn decides to have lunch at his favourite Italian restaurant where he is joined by a distracted Elliot. On the way home from lunch he is the victim of a one-punch killing. Each chapter of the novella begins with a verse out of sequence from Wallace Stevens’ famous poem ‘Thirteen Ways of Looking At A Blackbird’ and like that poem, each chapter is told from a slightly different emotional and lyrical perspective. Parts of the novella are from Mendelssohn’s stream of consciousness and at other times we get the point of view of the detectives investigating the murder. The most fascinating aspects of the story are when McCann gives us an impersonal look at Mendelssohn’s last day as seen through the city’s silent security cameras. This reminded me of the great Eoin McNamee story – also a murder mystery – ‘Corpse Flowers’ which is almost entirely unpacked through descriptions of CCTV footage. Peter Mendelssohn is a fairly convincing character, similar in outlook to Saul Bellow’s Artur Sammler, but perhaps there’s a little too much of Colum McCann in him; Mendelssohn is well versed in Irish poetry but doesn’t name-drop any Jewish writers and for a Litvak doctor’s son is oddly reticent with the Yiddishisms. In an afterword to Thirteen Ways of Looking McCann explains that he was half-way through the writing process of the book when he himself was mugged and badly beaten in Connecticut. Going back to his work in progress became part of the healing process. Jorge Luis Borges, in his influential essay ‘On Blindness’, states that “whatever happens [to a writer] including embarrassments and misfortunes, all have been given like clay, like material for our art.” McCann similarly mines his own misfortune and the book is a more powerful, poetic and melancholy one because of the rude incursion of real life into art. The murder mystery is solved agreeably and I don’t think many readers will begrudge McCann his rejection of the Law & Order ending regarding the verdict. There are three other stories in Thirteen Ways Of Looking that appear to be more or less just tacked on at the of the book end and have little in common with the themes of the opening novella. In McCann’s two most recent story collections TransAtlantic and Let The Great World Spin – all the stories resonated, interlinked, bounced off and informed one another in artistically satisfying ways. Not so here, alas, where the links, such as they are, seem forced. ‘Sh’khol’ is about a Jewish-Irish woman whose deaf adopted son goes missing on a swimming trip in Galway. She’s a translator looking for an English equivalent of the Hebrew word Sh’kol (a parent who has lost his or her child). For her son to actually have drowned would be bathos worthy of O’Henry so there’s no real tension in this tale and I wasn’t entirely convinced by the characters or the situation - since when do Galway hookers have white sails? The most interesting story of the three is ‘What Time Is It Now Where You Are?’ about a female US Marine in Afghanistan about to call her girlfriend back in South Carolina on New Year’s Eve. 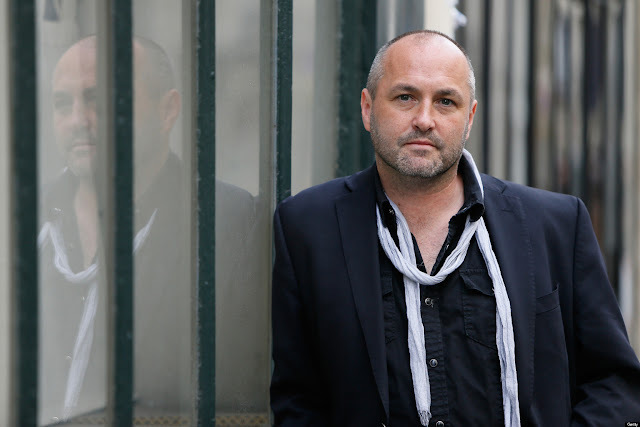 This story is rather brilliantly written as a meta-narrative in which Colum McCann races against a deadline to write a New Year’s eve story building the characters, the setting and the themes in his mind as the story progresses. It’s the most original and daring part of the entire book and it’s a shame that it’s so short. Thirteen Ways of Looking proves that Colum McCann is a fine miniaturist but I’d like to see him delve deep into a single subject again like he did with Dancer, a novel about the life of Rudolf Nureyev, a book that was lyrical, well researched and profound, and which remains his masterpiece.